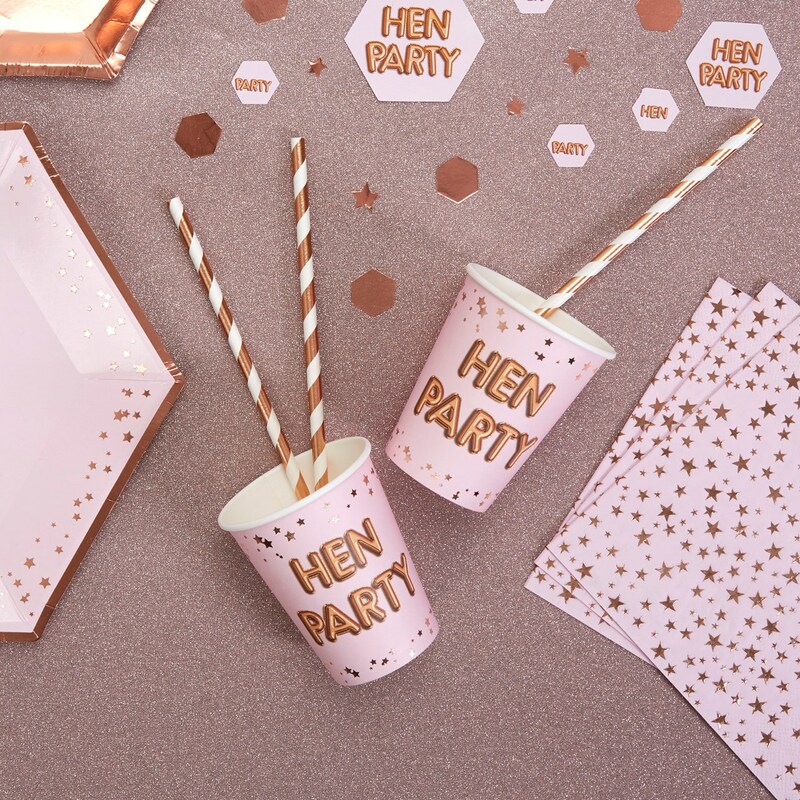 Serve your party drinks in these gorgeous pink cups, adorned with rose gold foil stars and balloon-style ‘Hen Party’ logo. Blending style with fun, these eye-catching cups make the perfect addition to your party table and can be mixed in with co-ordinating tableware and decorations. Each pack contains 8 Cups.